In December 2014 with the mission to develop processes including software tools for cost effective and affordable design and production of Tactile Graphics images for the visually impaired community. The Centre of Excellence will help in creating national expertise in tactile graphics production as well as R&D support for the same. IIT Delhi has developed a complete process for producing affordable, yet very high quality tactile diagrams using a combination of 3-D printing and thermoforming. The project has application for social development of Divyang. 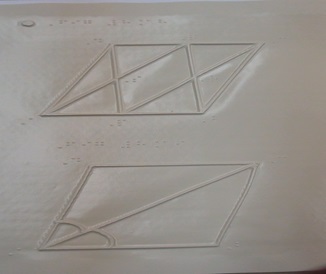 Grade-IX NCERT textbook for Mathematics & science have been converted into tactile form for visually challenged. 2. Facility for Batch Fabrication of Linac Tubes at SAMEER, Khargar Campus Navi Mumbai. This facility is being utilized for Batch fabrication of the LINAC Tubes and LINAC Machines through industrial partner through the EOI process and for ongoing and future industrial LINAC system. 3. Medical Electronics Lab has been set up in NIELIT, Aizawl, Agartala & Kohima for repairing and maintenance of Medical electronics equipments of various government and private in North eastern state. It will also provide training on calibration, testing & repairing of Medical Equipments to para medical & medical staffs of various government & private hospitals. 4. Deployment of Clinical Record Integration Platform at Jai Prakash Narayan Apex Trauma Center (JPNATC), AIIMS: Jai Prakash Narayan Apex Trauma Center (JPNATC), AIIMS, New Delhi is multi-specialty (surgical and non­surgical) trauma care facility, and uses many IT systems like OpenPACS, GE PACS, E-Lab, Neuro Trauma Registry, Death Notes, Bedside Vitals and WorldVistA EHR for managing clinical information of patients. Data stored across several systems leads to vital clinical information spread in silos. The DHS technology brings all relevant clinical data from different systems and consolidates them into single viewable EHR. 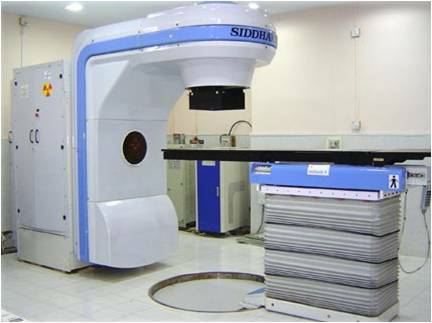 During the first phase of the Jai Vigyan Mission project for deployment of Linear Accelerator machines, two machines (Siddhartha 1 & 2) were developed and commissioned- one at Mahatma Gandhi Institute of Medical Sciences (MGIMS), Wardha and the other at the Cancer Institute Adyar for treatment of cancer patients. More than 1,50,000 patient exposures have been done for cancer treatment using these machines. During the second phase of this activity, it is envisaged to deploy four 6 MV medical Linear Accelerator (LINAC) machines for cancer treatment in four hospitals. Deployment of 6 MeV Linear Accelerator (LINAC) for cancer treatment. LINAC Machine at Indian Institute of Head and Neck Oncology, Indore is being used for patient treatment. As an average 30 patients are being treated per day. The installation and handing over of second LINAC machine at Amravati Hospital (Maharashtra) has been completed and patient treatment has been started from March 2018. The deployment of third LINAC Machine at BKL Walawalkar Hospital, Chiplun, Maharashtra is in progress and radiation testing has been accomplished. Dialogue with various cancer Hospitals has been initiated for deployment of 4th LINAC machine. The technology has been transferred to Panacea Medical Technologies Bangalore. CLADS is an automated anesthesia delivery system developed by PGIMER, Chandigarh in which syringe infusion pumps for delivering different anesthetic drugs and the patient monitors are interfaced to a computer which uses an algorithm defined to control these syringe pumps based on the patient characteristics as well as continuous feedback of patient condition from the monitor. The technology has been transferred to Clarity Medical Pvt. Ltd., Mohali. Microwave Hospital Disinfectant System was sponsored by MeitY with the objective to design and fabricate a microwave incinerator system to demonstrate the technology for disinfecting microbiological and infectious waste from hospitals or laboratories using microwave technology without causing environmental pollution. The technology for Microwave Disinfectant System has been transferred to M/s S S Medical System, Lucknow for manufacturing. 8. 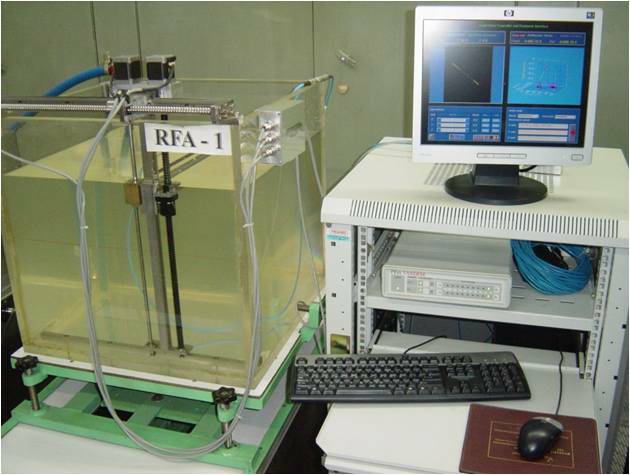 Radiation Field Analyzer (RFA) is used to measure the radiation beam profile of medical linear accelerator in water cuboid. In the radiation therapy treatment planning process it is essential to determine the radiation dose distribution emanating from radiation source and as it enters the body of the patient. The probabilities of local control and complications are sensitive functions of dose delivered. Therefore, accurate knowledge of dose at all critical points within the body is essential. Pulse Oximeter is a portable, non-invasive monitor of oxygen saturation that enables prompt recognition of hypoxemia. 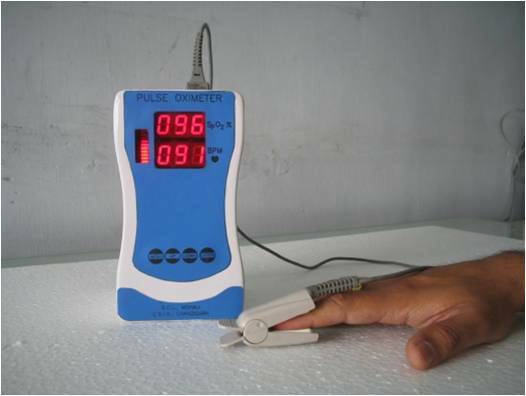 Pulse Oximetry basically measures oxygen saturation, the percentage of hemoglobin saturated with oxygen and Pulse Rate. Technology has been developed by CSIO, Chandigarh and transferred to REIL, Jaipur. 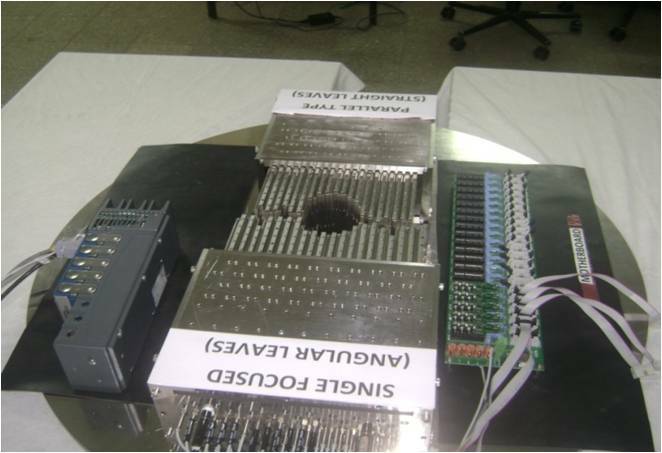 2.6 MW Pulse Magnetron has been developed by CEERI Pilani and its testing on 6 MV LINAC at SAMEER, Mumbai has been successfully completed. Magnetron is a high power microwave source which is used in LINAC machine for acceleration of electron beams to energies to produce X-rays of required wavelength and intensity. Magnetron provides an economical solution for use in Linear Accelerator based X-ray machines which are extensively used for medical, industrial and security applications. Multileaf collimatorsdeveloped by SAMEER are used on linear accelerators to provide conformal shaping of radiotherapy treatment beams. The Multileaf collimator (MLC) has become essential component for radiation therapy delivery. The technology to adjust leaf positions during beam delivery based on a predetermined leaf sequence facilitating Intensity Modulated Radiation Therapy (IMRT) provides required doses to the tumor based on the shape of the beam. 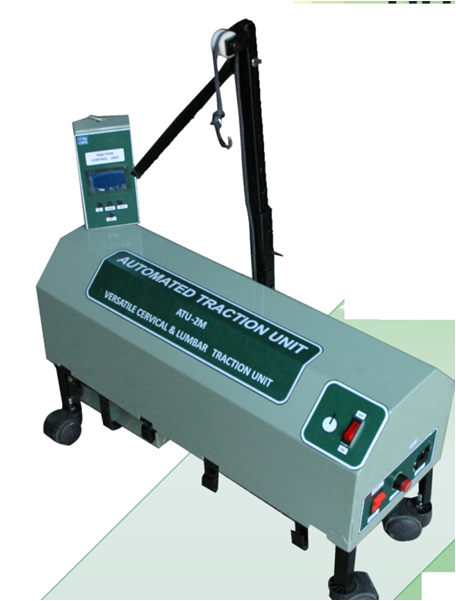 Automated Traction Unitdeveloped byC-DAC, Mohali is a complete system designed to provide precise traction force for physiotherapy purposes. The pull stretches the musculature and connective tissue components of the cervical spine to relieve the inter-vertebral pressures; thereby relieving the associated cervical and lumbar pains. 1. Closed Loop Anesthesia Delivery System (CLADS) Patented in US, Europe and India. 2. 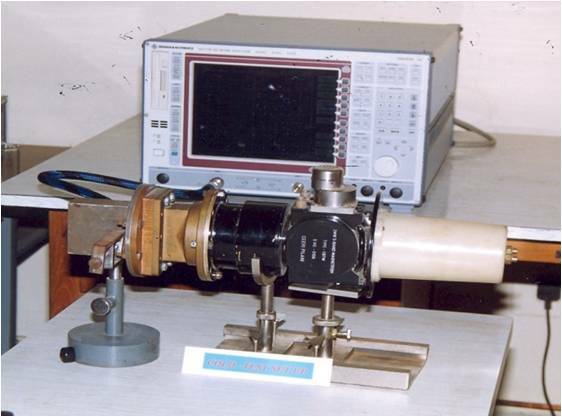 Medical Image Analyzer for Cervical Cancer (CerviScan) Patent applied in India. 3. Biometric Signal Analyzer for seizure prediction by analysis of EEG signals” and "A Novel Biomedical Signal Analyzer for Seizure Prediction system using Overlapped windowing and Multiclass post processing. 4. 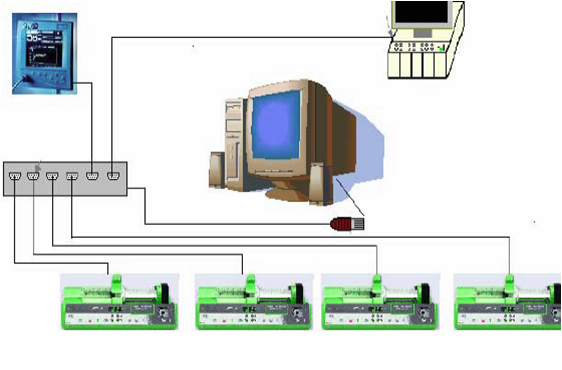 Design and Development of Leukoanalyzer: An Automated Computer Assisted Tool for MRD in B-Lineage Acute Lymphoblastic Leukemia using Image Processing Techniques. 5. Handheld Instrument for Prediction of Metabolic Disorder through Characterization of Human Exhaled Breath. 6. Copyright titled “Dia-Sol” (System Software of Intelligent Diabetes Olfactory Device) has been submitted for filing.